It's a film. It's from Discover Tenkara. It shows you how to do some funky stuff with a Tenkara rod and kebari. Will it transform your tenkara for the better? Yes, I think it will. The DVD plays for about an hour and a quarter and it's beautifully filmed. I see on the inside of the DVD case a free download code to enjoy the film in HD. A nice touch. There's also a link to purchase the accompanying Manipulations E-book. The title music is atmospheric and really sets the scene - speaking of which, the film takes the viewer/pupil to several different rivers, in Italy, here in England and in Japan. It's clear a lot of effort has gone into this production. John Pearson and Paul Gaskell say their new film is the best thing they have yet to put out, and I'm keen to have a look. I don't believe they're referring just to the production values of the film - it's the technical content that forms the core of this offering. 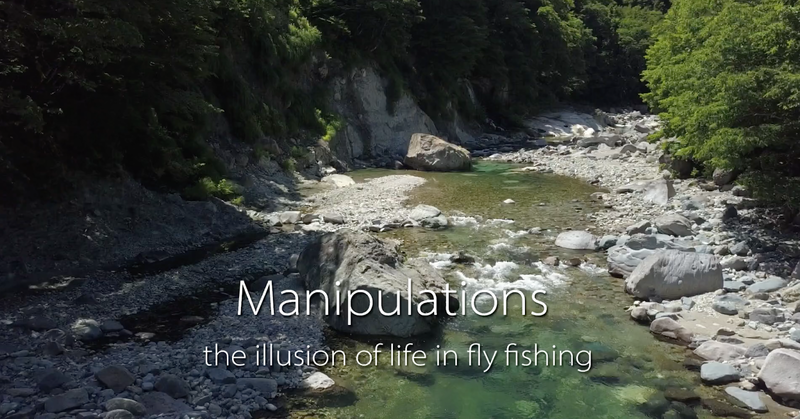 Presentation, fly manipulations - this is what the film is all about. You can sneak a preview here. The subject matter is close to my heart. I love experimenting on stream with different ways to present a fly with tenkara, so the title Manipulations - the illusion of life in fly fishing immediately piques my interest. I want to see if some of the little tricks with a kebari that I've figured out independently have common parlance. 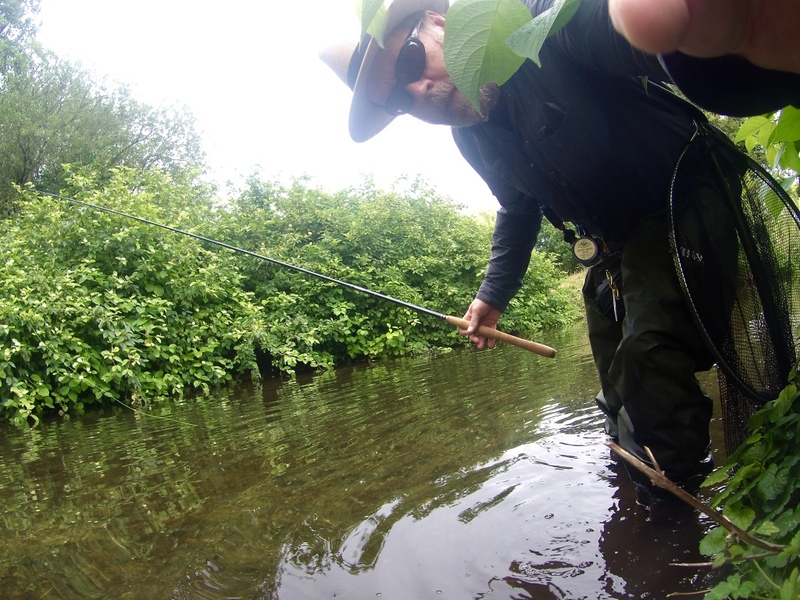 I'm also keen to improve my game and expand my repertoire, and although a self-professed self-teacher, I do recognise the huge value in looking at more accomplished and experienced anglers, and with Discover Tenkara I know I'm in safe hands. But why should the finer points of fly presentation matter to the angler who already enjoys catching regularly with tried and tested mainstream approaches? I'm relating to my own personal experience here: a change in presentation, by manipulating the fly to behave differently in the water, really can transform an average day into an extraordinarily successful one. Or even, on occasion, seize a red letter day from the jaws of a downright blank. Putting it another way, the right fly manipulation at the right time can unlock doors that may otherwise be firmly shut. 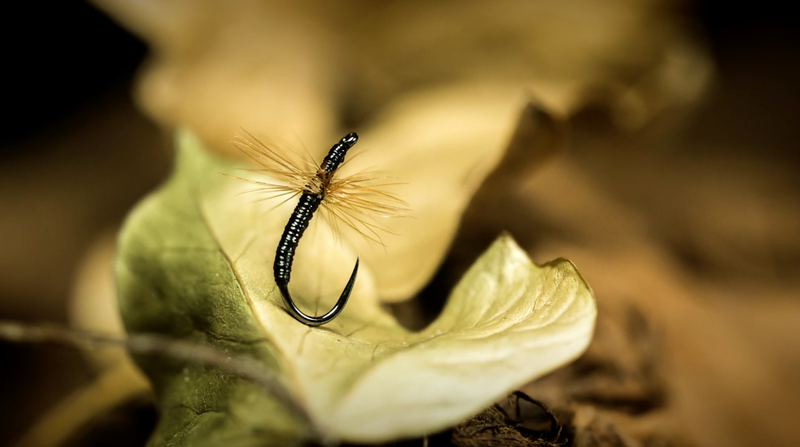 Having a solid repertoire of different manipulations also allows you to explore a much wider spectrum of flow scenarios with the same fly, or small collection of flies. 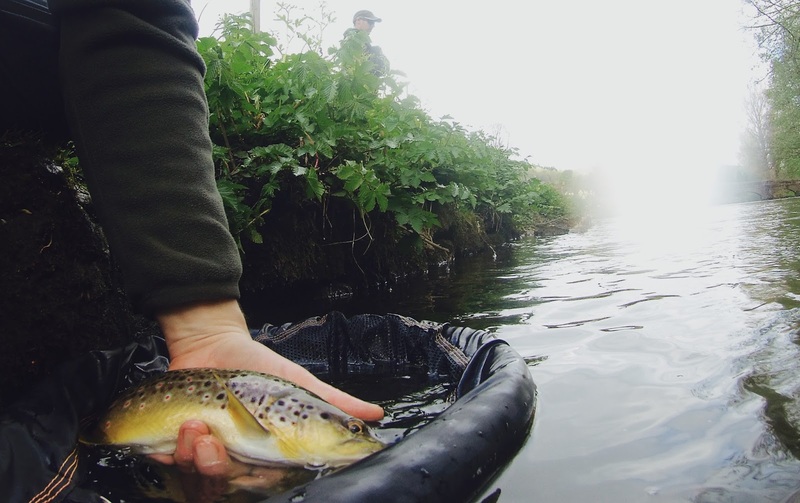 You'll spend less time changing flies and angsting over fly selection and more time actually fishing, confident in the knowledge that you have the ability to adapt your approach as needs be, without the need to constantly re-rig. 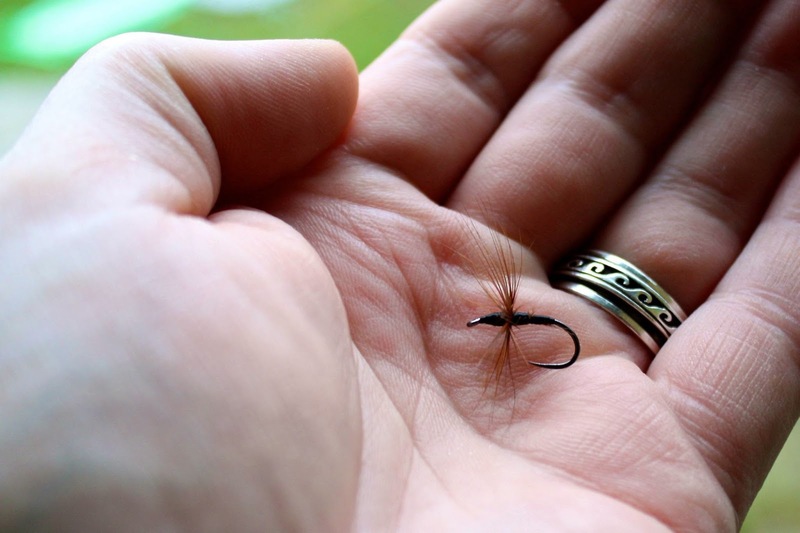 All of which, for me, is the very essence of tenkara - fly manipulations are the heart of what tenkara is. So yes, my interest in John and Pauls' DVD is piqued.. I can best describe the experience of viewing the DVD as feeling like I've turned up at a tenkara school set in mouth watering locations. It's the next best thing to real life one-to-one tuition, in fact better in the obvious sense that this a lesson I can rewind and rewatch. But this only works with a film tutorial if the structure is well thought out, and this is where Discover Tenkara really score. The teachings are clear, easy to follow and the fishing techniques self-evidently effective. Each technique is presented as a separate chapter with numerous practical worked examples followed by a recap at the end. Included too is a discussion on fly design for each manipulation. The graphic overlay used at key points to highlight rod and line position looks like a light sabre being switched on and I love it - it really works! The DVD is arranged into eight chapters starting with an introduction outlining the purpose and methodology of layout. 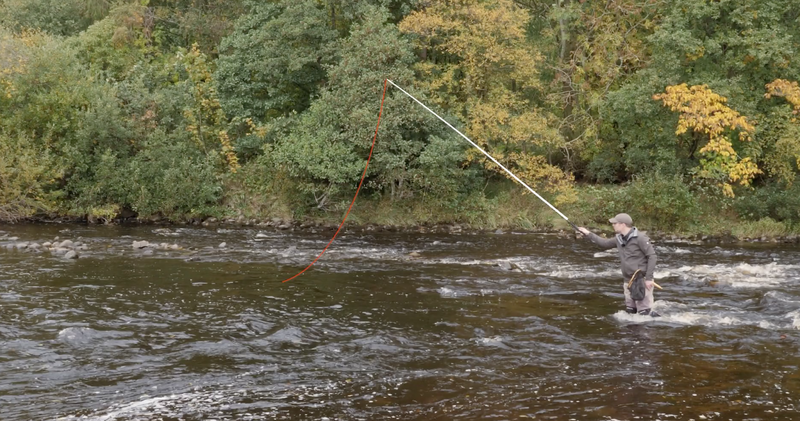 The second chapter emphasises the fundamental importance of being able to execute a good fly-first, fly-only dead drift before attempting the manipulation lessons on stream. This chapter is a tutorial to help iron out any little flaws in the pupil's dead drift technique and offers useful ways to increase efficiency and elegance of presentation. The aim throughout is to build a strong foundation of technique upon which to build a repertoire of manipulations and presentations. The following five chapters each focus on a different manipulation, and show how they can be applied to both tenkara and Western fly rod approaches, with numerous sequences showing fish caught with each. The final chapter is a summing up of closing thoughts. Which brings me nicely to my own closing thoughts. Fly presentations and manipulations could be a lifetime study and it's notable that this is volume one of a series that could easily be expanded. A couple of effective presentations I've figured out for myself don't appear in this volume, but I'm pretty sure they would pop up next time around. What this volume offers is a comprehensive tool kit that can be adapted to many different scenarios. The enthusiasm in delivery of the tutorials has me champing at the bit for the new trout season - I just can't wait to get back out on stream to practice what John and Paul have taught me here. So to those deciding whether they should try the Discover Tenkara Manipulations tutorial I would say.. I like to think I'm pretty proficient with tenkara and have had some notable successes at times. Half of what is shown on this DVD I'm already doing, though not nearly as efficiently or elegantly. The other half - well it hadn't even occurred to me, and this makes me wince at the opportunities I've been missing. All of which just goes to show that you don't know what you don't know..